Basketball is not a one-sided game; it is a multi-faceted discipline that not only focuses on one factor but a series of other variables as well. New players starting out usually have mentally that focusing on shooting and scoring the highest point is all that‘s important among the different basketball skills. However, more mature players know how to improve basketball skills using the dribble.Dribbling has been around right after James Naismith invented the game. At first, players advanced the ball by passing it around with their teammates. One day, they thought of a clever idea by a passing the ball to themselves. This gave birth to the “dribbling” concept. The dribble is one of the major ways on how to improve basketball skills. Master dribbles can advance the ball through opponents and get to the hoop in a breeze. They can protect the ball from becoming stolen by the enemy. Master dribblers can dazzle an amateur opponent, making shots easier for them. So, if you want to know how to improve your basketball skills using dribble, it is better to hire the private basketball coaches in Missouri. 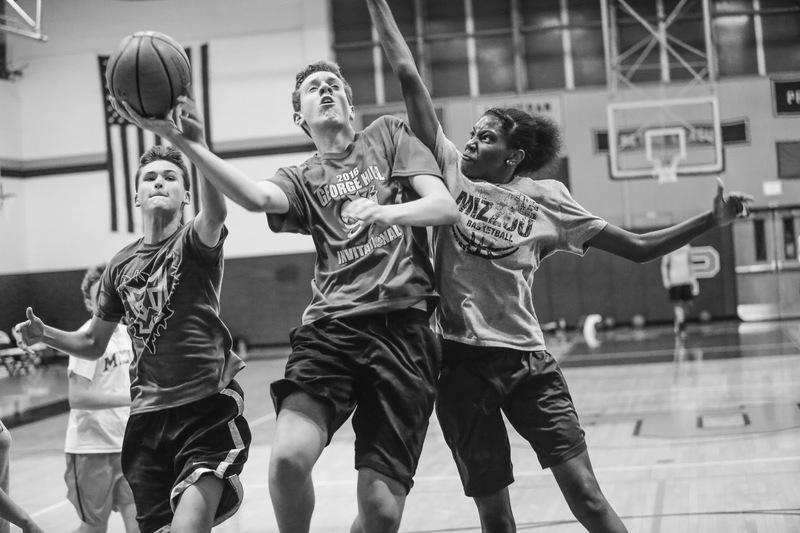 In this article, I am going to share some pointers about basketball dribbling drills that you can use to improve your game. The first of the many basketball drills I can share with you is scissors. This is fairly simple and basic drill where you place your left foot forward and your right foot backward. Next, bounce the ball from your right hand towards your left, passing in between your legs. As the ball passes through your legs, move the right foot forward, leaving your left foot behind. Do the single dribble again and move your feet every after the ball passes through your legs. A tricky basketball dribbling drill that can teach you how to improve basketball skills is the Suicide. Hold the ball using both hands and stand with feet apart. Then bounce the ball in between your legs going to the back. Catch the ball from your back with both hands behind you. Then, using both hands, bounce the ball again going to the front and catch it with both hands. Among the many basketball dribbling skills, I find this third one to be very effective. This is called Figure 8 Dribbling. You need to stand with both feet wide apart. Holding the ball in your right hand, dribble it in a low and quick pace. Then gradually move it in between your legs and switch to your left hand from the back. Move the ball from the back to the left side of your body and back to the front. Then continue dribbling in a low and fast pace using your left hand to repeat the process until the ball reaches your right hand, forming the figure 8. There are many ways how to improve your basketball skills, but using a basketball dribbling skills is among the best ones. Improve your dribbling to make yourself a competent ball handler. With that, you can take an opportunity in the court and blow by them with your dribbling moves getting the easy lay-up. If you also want to learn all the skills and drills of basketball, hire a reliable private basketball coach from Larry Hughes Basketball Academy in Missouri.